Select any jasper image below to enlarge it. This unique sculpture of natural color polychrome jasper stands 7.2 inches tall. It was handground and polished into this elegant free-form carving with very beautiful patterns and all natural colors! See also a side view of this natural color polychrome jasper decorator specimen. This unique decorator specimen of natural color ocean jasper stands 7.6 inches tall. It was handground and polished in this free-form sculpture with one-of-a-kind patterns and all natural colors. 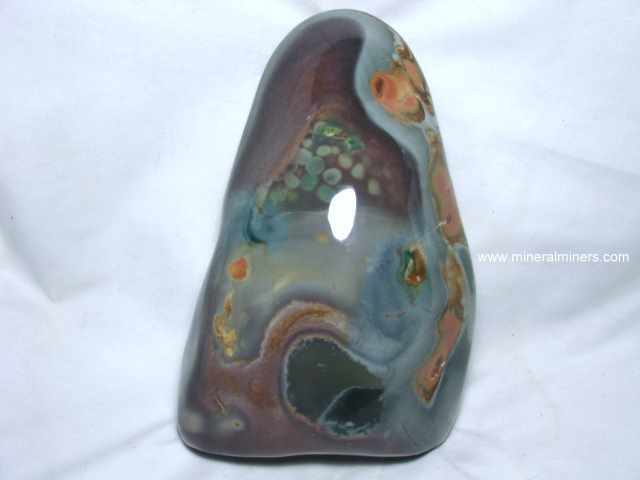 See also an opposite side view of this natural color ocean jasper polished freeform sculpture. This unique sculpture of natural color polychrome jasper stands 9.2 inches tall. It was handground and polished in this free-form carving with unbelievably beautiful patterns and all natural amazing colors! 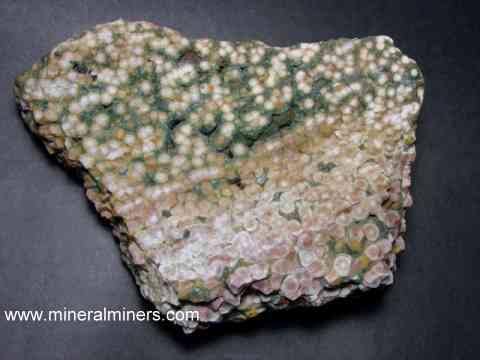 The colors and patterns are completely different on the opposite side of this beautiful decorator mineral specimen! See also an opposite side view of this natural color jasper decorator specimen. This unique decorator specimen of natural color kabamba jasper stands 11.5 inches tall. It was handground and polished into this "flame" shaped free-form sculpture with unique patterns and all natural colors. See also an opposite side view of this natural color jasper decorator specimen. This unique decorator specimen of natural color polychrome jasper stands 12.5 inches tall. It was sculpted by hand and then polished in this free-form shape with spectacular patterns and all natural amazing colors! 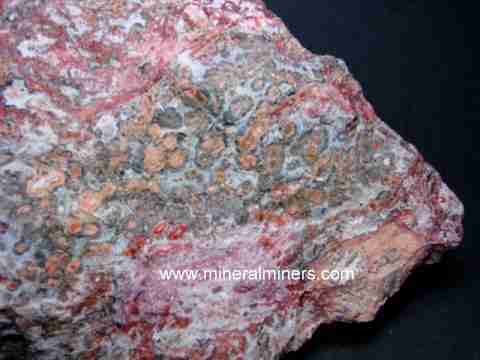 See an opposite side view of this natural color large polychrome jasper decorator specimen. See also an additional view of this amazing large freeform jasper specimen. This extra large size decorator specimen of natural color ocean jasper stands 15.5 inches tall. It was hand-ground and polished into this "flame" shaped free-form with all natural patterns and natural colors in beautiful shades of pink, white orange, brown and green! See an opposite side view of this extra large ocean jasper. See also another view of this extra large ocean jasper flame carving. This unique decorator specimen of natural color polychrome jasper stands 11.5 inches tall. It was sculpted by hand and polished in this free-form shape with interesting patterns and all natural colors. See an opposite side view of this natural color large polychrome jasper decorator specimen. This unique and very beautiful specimen from "Ocean Jasper" rough was mined in Madagascar. "Ocean Jasper" is a rare orbicular jasper variety that is mined at a single location on the coast of Madagascar. Because it is exposed right where the ocean crashes on the rocks at sea level, this jasper can only be mined at low tide! This particular specimen has green bull's eyes within sphericals and white to orange-pink layers (all natural colors), and it has several vugs with shiny quartz crystals inside. It is polished in the front and left complete natural at its back side. This unique sculpture of natural color polychrome jasper stands 5.8 inches tall. It was handground and polished into this free-form carving with very beautiful and unique patterns and colors (all natural colors). 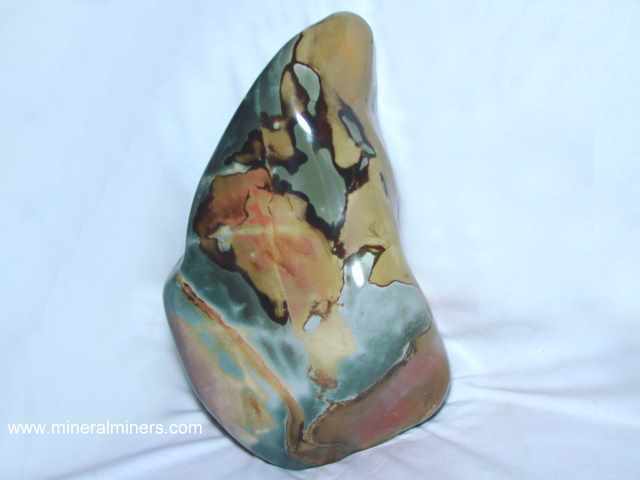 See also an opposite side view of this natural color polychrome jasper free form sculpture. It will make an excellent gift! 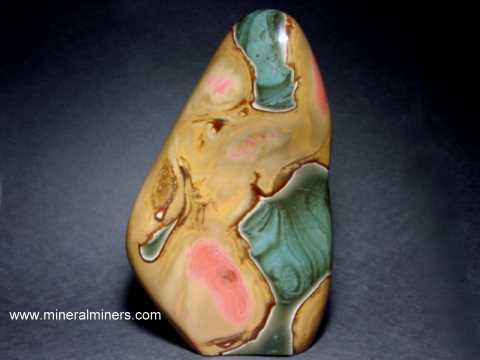 A very interesting paper weight or decorator mineral specimen of natural color jasper. This unique sculpture of natural color polychrome jasper stands 7.4 inches tall. It was handground and polished in this free-form shape with wonderful patterns and colors (all natural colors). See also an opposite side view of this natural color polychrome jasper decorator specimen. This unique jasper decorator sculpture was handground and polished into this "flame" shaped free-form carving with very interesting patterns and colors (all natural colors). This unique polychrome jasper bracelet was handcrafted in 925 sterling silver with open back settings. It has six cabochon gems of natural color polychrome jasper measuring from 20x15mm up to 23x17mm. These natural color jasper gems have wonderful earthy color combos and unique patterns in shades of brown, red and green. See another close-up view of this unique handcrafted polychrome jasper jewelry design. See also a full view of this natural color polychrome jasper jewelry item. This natural jasper bracelet was handcrafted in 925 sterling silver with open back settings. It has six cabochon gems of natural banded jasper measuring from 21x16mm up to 26x19mm. 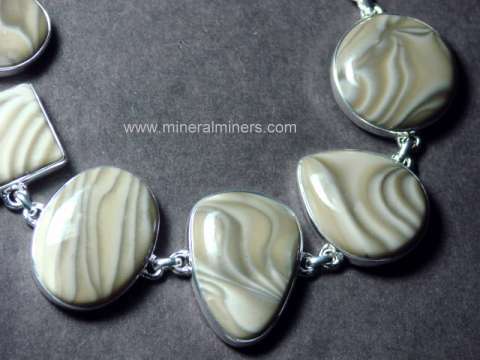 These natural color jasper gems have very beautiful swirled patterns in white, cream and mocha hues. See another close-up view of this unique banded jasper bracelet. 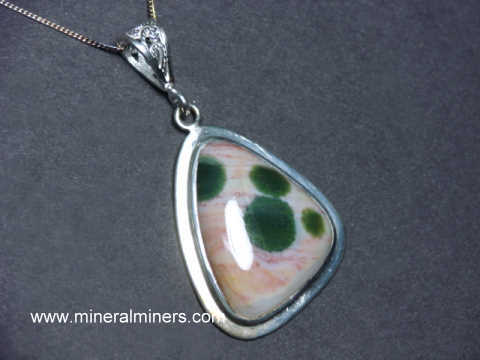 See also a full view of this natural color banded jasper jewelry design. This genuine ocean jasper bracelet was handcrafted in sterling silver with open back settings. It is set with six cabochon gemstones of natural "Ocean Jasper"; three oval shapes, one rectangular and two pear shapes measuring from 24x14mm up to 27x20mm. "Ocean Jasper" is a rare and beautiful orbicular jasper variety that is mined at a single location on the coast of Madagascar. The ocean jasper cabochon gemstones in this bracelet have layered dots & bull's eyes in shades of green, yellow-orange, white, and pink (all 100% natural colors). The photo at left shows a close-up. See also a full view of this unique ocean jasper bracelet. This genuine lace jasper bracelet was handcrafted in 925 sterling silver with open back settings. It is set with five multi-shaped cabochon gems of natural "Lace Jasper" measuring from 23x15mm up to 29x20mm. The photo at left shows a close-up. See also a full view of this unique lace jasper bracelet. This kabamba jasper bracelet was handcrafted in sterling silver. 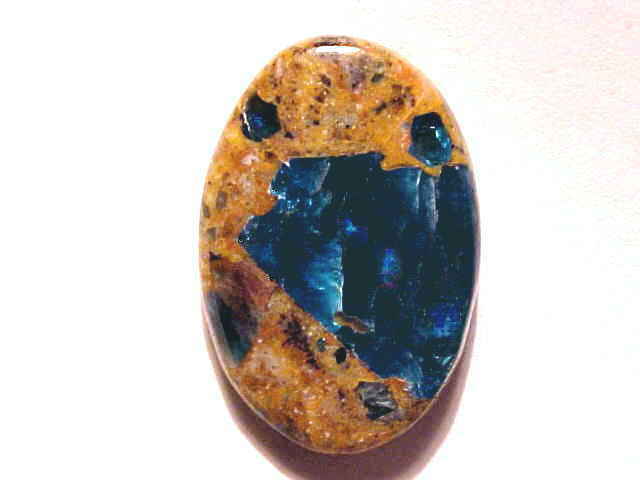 It is set with 5 oval shaped cabochon gems of natural "Kabamba Jasper" ranging in size from 22x15mm up to 32x22mm. Kabamba jasper is a natural jasper that is found in Madagascar. See also a full view of this unique kabamba jasper bracelet. This large size genuine mookaite bracelet was handcrafted in sterling silver with open-back settings. It is set with seven multi-shaped cabochon gems of natural color Australian mookaite measuring from 22x12mm up to 27x19mm. These natural color mookaite cabochon gems have unique patterns and wonderful shades of yellow-gold, reddish-brown, purple, magenta and white (all 100% natural colors). The photo at left shows a close-up, see also a full view photo of this genuine Australian mookaite bracelet. This unique sphere was hand-ground and polished with a good finish from "Kabamba Jasper" rough that was mined in Madagascar. This kabamba jasper sphere has gray-green background colors with black and green "eyes". This unique sphere was hand-ground and polished with a good finish from "Kabamba Jasper" rough that was mined in Madagascar. See also an opposite side photo of this genuine kabamba jasper sphere. This kabamba jasper sphere has gray-green background colors with black and green "eyes". This large size jasper sphere was hand-ground and polished with a good finish from "Kabamba Jasper" rough that was mined in Madagascar. This unique kabamba jasper sphere has gray-green background colors with black and green "eyes". This large jasper sphere was hand-ground and polished with a good finish from "Kabamba Jasper" rough that was mined in Madagascar. This unique kabamba jasper sphere has gray-green background colors with black and green "eyes". This unique sphere was handcrafted from "Ocean Jasper" rough that was mined in Madagascar. "Ocean Jasper" is a rare orbicular jasper variety that was mined on the coast of Madagascar. This particular sphere has white, green, orange-pink and brown areas as well as some sphericals and multi-colored bullseyes (all natural colors). This beautiful sphere has some small pits and vugs exposed around it's surface. See also an opposite side view of this genuine ocean jasper sphere. This unique and beautiful sphere was handcrafted from "Ocean Jasper" rough that was mined in Madagascar. "Ocean Jasper" is a rare orbicular jasper variety that is mined at a single location on the coast of Madagascar. Because it is exposed right where the ocean crashes on the rocks at sea level, this jasper can only be mined at low tide! 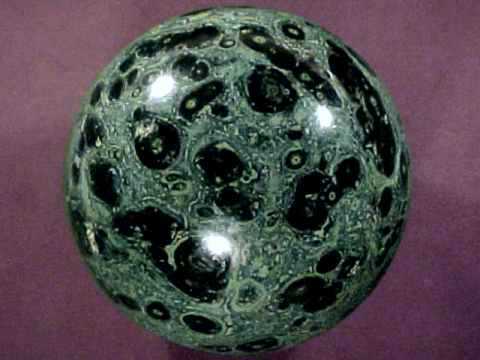 This particular sphere has white and brown bull's eyes with some green and orange-pink areas as well (all natural colors), and it has several vugs with drusy quartz crystals inside. 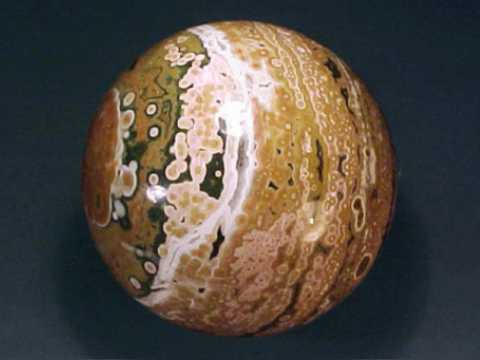 See also another view of this ocean jasper sphere. This unique and beautiful sphere was handcrafted from "Ocean Jasper" rough that was mined in Madagascar. "Ocean Jasper" is a rare orbicular jasper variety that is mined at a single location on the coast of Madagascar. Because it is exposed right where the ocean crashes on the rocks at sea level, this jasper can only be mined at low tide! This particular sphere has beautiful patterns in shades of white, green, orange-pink and brown with many multi-colored bullseyes (all natural colors). This colorful sphere has a few small vugs exposed on it's surface. This unique and beautiful sphere was handcrafted from "Ocean Jasper" rough that was mined in Madagascar. "Ocean Jasper" is a rare orbicular jasper variety that is mined at a single location on the coast of Madagascar. Because it is exposed right where the ocean crashes on the rocks at sea level, this jasper can only be mined at low tide! 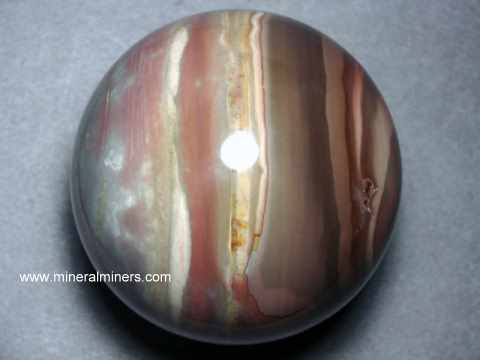 This particular sphere has shades of white, green, brown, gray, pink and yellow with multi-colored bullseyes(all natural colors), and it also has some small crystal-filled vugs exposed on it's surface. This unique and beautiful sphere was handcrafted from "Ocean Jasper" rough that was mined in Madagascar. "Ocean Jasper" is a rare orbicular jasper variety that is mined at a single location on the coast of Madagascar. Because it is exposed right where the ocean crashes on the rocks at sea level, this jasper can only be mined at low tide! 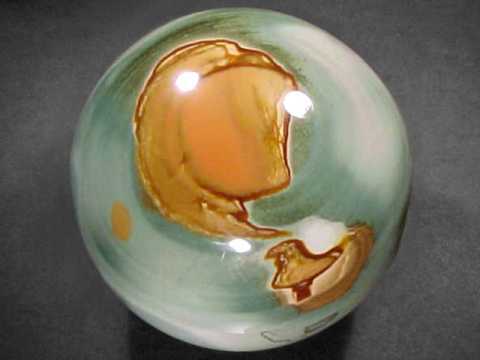 This particular sphere has shades of white, green, reddish-brown, blue, pink and yellow with multi-colored bullseyes(all natural colors), and it also has some small crystal-filled vugs exposed on it's surface. 6 inch Ocean Jasper Sphere! This fine quality collector sphere of beautiful Ocean Jasper weighs 9.2 pounds! It has a fine quality finish with several hundred dots & bull's eyes in white, pink, and green colors (all natural colors). There also are some drusy quartz crystal lined vugs exposed on its surface. The photo at left shows a close-up, see also a full-view photo of this genuine ocean jasper sphere. 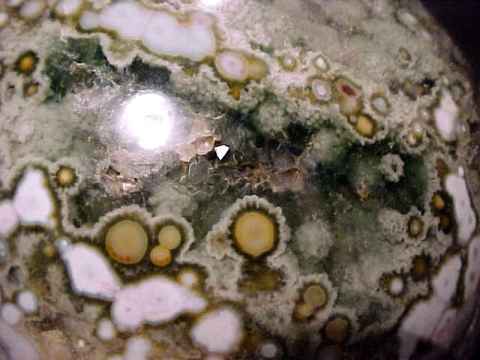 See another close-up photo of this beautiful ocean jasper sphere. Ocean Jasper Sphere, 7.1 inch diameter! 38.2 pound Ocean Jasper Sphere! This 6 inch long turtle was hand-carved in natural picture jasper rough. This piece was handcrafted from Ocean Jasper rough that was mined in Madagascar. Ocean Jasper is a orbicular jasper variety that is mined at a single location on the coast of Madagascar. This beautiful specimen measures 4.9 inches tall and it has very interesting patterns of layers & bull's eyes in beautiful green, white and gray colors (all natural colors). There also are large drusy quartz crystal lined vugs exposed on its surface. Our Jasper Products are all 100% natural color Jaspers! We have a large inventory of genuine jasper items in stock, and each one is unheated and untreated with all natural colors! See our hand-picked selection of unique jasper gifts with hand-carved Jasper Sculptures and Jasper Decorator Specimens. See also our page displaying natural Jasper Rough Specimens including our natural color blue apatite in jasper rough specimens. Be sure to visit our page displaying genuine Ocean Jasper Spheres and Eggs and our other rare and beautiful jasper spheres. We specialize in superior quality natural jasper jewelry! We offer a hand-picked selection of unique handcrafted jasper jewelry including some very beautiful jasper necklaces and jasper bracelets. In addition to our jasper spheres and jasper jewelry items, we also have some wonderful jasper freeform sculptures. Because of the natural patterns and colors in jasper, each of our handcrafted jasper items is unique! 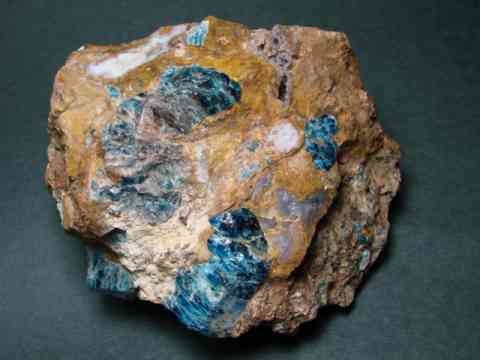 We also have spheres of many other natural mineral varieties available! Please see the links below for natural jasper products including jasper mineral specimens and lapidary rough! Would you like us to inform you when we add on this page more natural jasper spheres, jewelry, and jasper sculptures and carvings of rare quality and unusual large sizes? We do have additional spectacular jasper items in stock at our mineral warehouses, so be sure to let us know if you have any special requests.